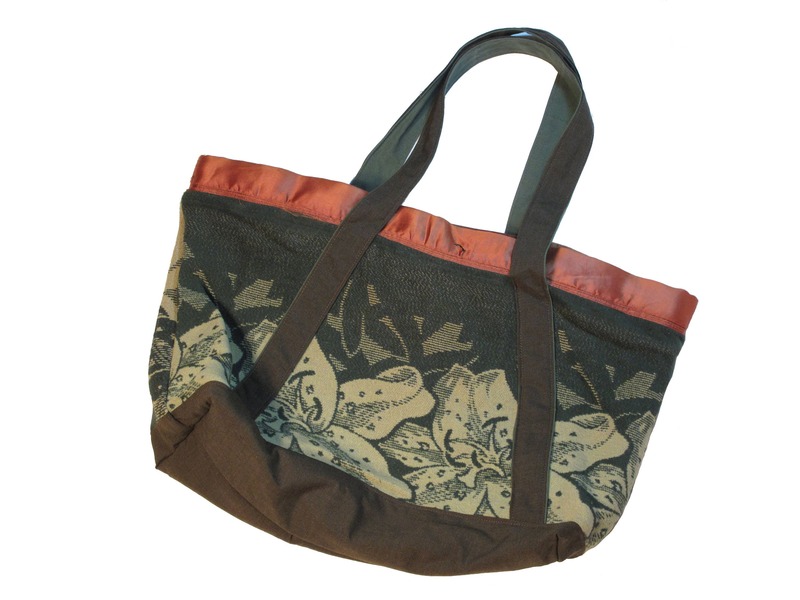 hand made tote bag, cut from 30s/40s blanket with a pattern of lilys, one side is light colored image on a dark field and the other side is the inverse. 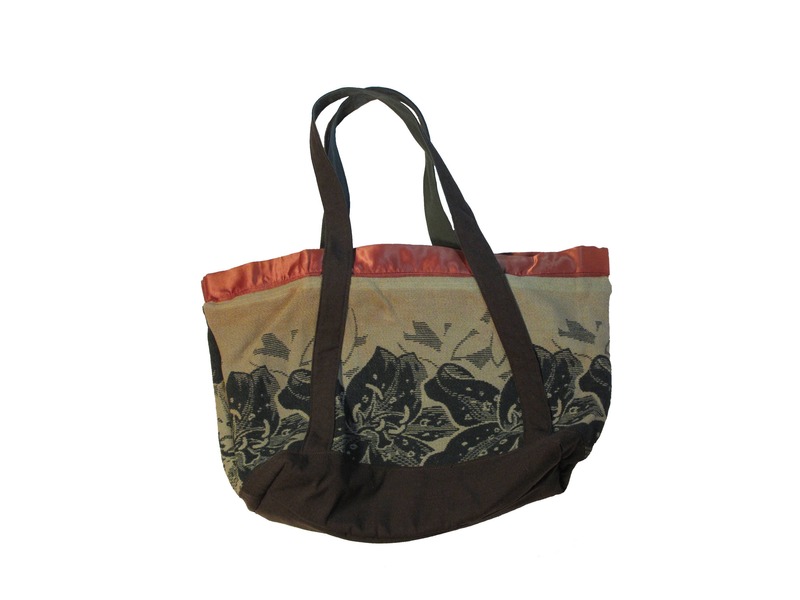 the satin binding from the edge of the blanket has been used as the opening of the tote bag, which has a brass zipper. 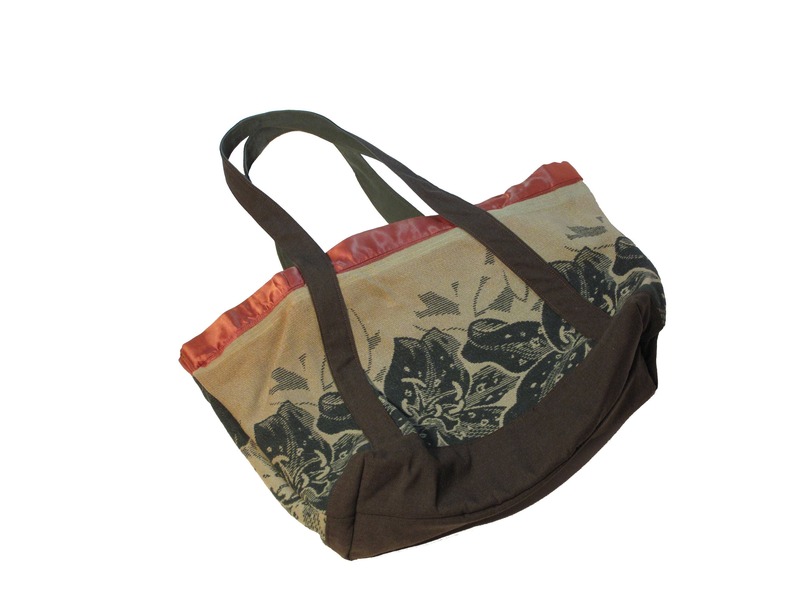 bottom reinforcement, handles and interior pocket are made from a wool blend military surplus fabric. interior pocket has deadstock military surplus Scovill gripper zipper. 23 inches wide, 13 inches tall. 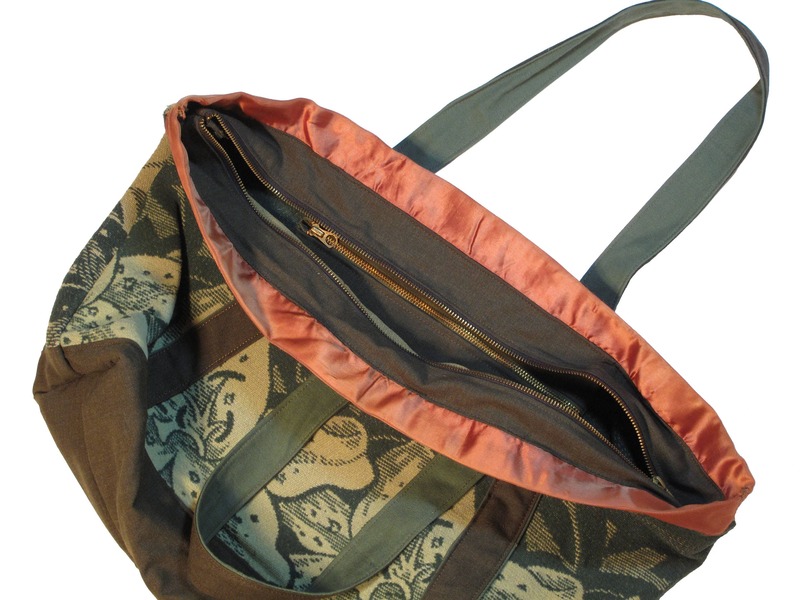 straps are long enough to be worn over the shoulder and bag hangs at 12 inches.